encouraging the participation and development of new poets from a broad range of styles. Weekly Wednesday night readings featuring nationally/internationally recognized poets as well as those of local renown. Biiweekly Monday Night Reading Series serves as a forum for emerging poets as well as the open-mic readings. Biweekly Friday Night Reading Series provides space for poets and artists whose work is multidisciplinary. General admission is $8, students/ seniors is $7, members is $5 or FREE. No one is turned away for the inability to pay. Participation is the series is by invitation only from the series coordinators. It helps to be familiar with the Project’s schedule and what the current series coordinators are interested in (see website). If you are interested in participating, mail your books or poems to office at 131 E. 10th St. NY, NY 10003 or email us at info@poetryproject.com. Your email will be forwarded to the series coordinators. Poetry Project offers the Emerge-Surface-Be program which selects three emerging poets and pairs them with their own poet mentor. Over the course of 9 months, they will be given the opportunity to develop their craft and complete a project. Each fellow will receive an award of $2,500 along with complete access to all Poetry Projects events. Fellows will also read within The Poetry Project’s high profile Monday Night Reading Series as a culminating event with introductions made by their mentors. Fellows will be invited to blog about their experiences as well as post photos and videos on The Poetry Project website and attend Fellows only gatherings so they may get to know and appreciate one another and their work. Fellows are chosen through an application process, details on website. The Poetry Project’s workshops have a reputation for being both rigorous, accessible, and affordable. Teachers, experienced writers, and new writers work together with a shared dedication to creating exciting poetry and exploring a wide range of literary genres, styles, and traditions. We begin registering students in August for Fall workshops and January for Spring workshops. There is a cap of 15 seats per workshop. Tuition for one 10-session workshop is $275 and for one 5-session workshop is $150 for the 2017-18 season. Tuition for one Master Class is $95, or $75 for students and seniors. If you are a student or senior, email lh@poetryproject.org with a scan of your Student ID for a discount code. Scholarships are available on a first-come, first-serve basis to qualified individuals. We are only able to offer one scholarship per person per year. Applicants must submit a Confidential Financial Information form (see website). Please contact Laura at lh@poetryproject with any questions. The Recluse is published annually each Spring and edited by the staff of The Poetry Project. Submissions for The Recluse are generally accepted January 1 through March 31. All work must be submitted via email to info@poetryproject.org with “Recluse” in the subject line. Please title your word file submission with your last name and the word “Recluse.” We suggest that people read an issue or two before submitting work! We are primarily interested in poetry and translations, but will consider other work as well. Also, check website for any themes for the coming issue. Poetry Project Newsletter is currently edited by Marwa Helal (2017-2019) and is published quarterly. While the Editor solicits most of the features and book reviews we print, if you have written a review of a book that you think is of particular interest to the PPNL readership, please query us at info@poetryproject.org. Poetry Project hosts an annual New Year’s Day Reading Marathon with over 150 poets. The Project receives many requests to perform in the Marathon, and we feel fortunate that so many people want to help us meet our fundraising goals. We only have about 150 spots and a seemingly unlimited artistic community to draw from. Below is some basic information about our selection process. 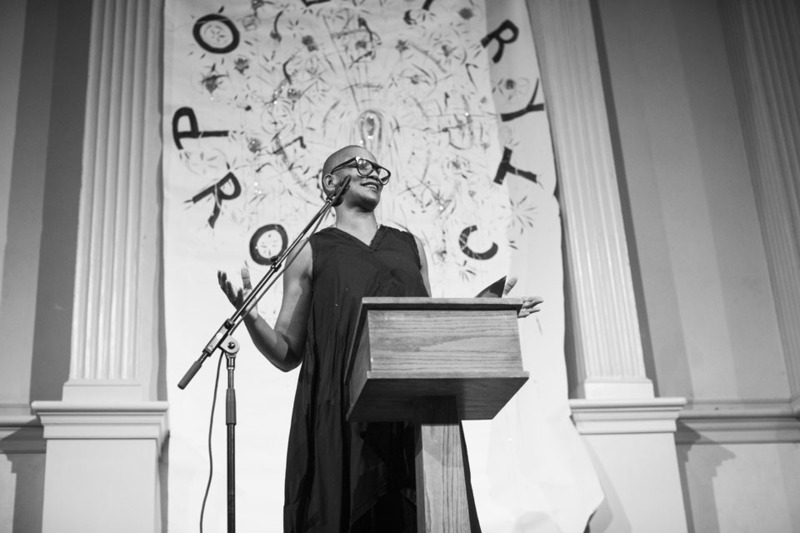 The Marathon is the Poetry Project’s annual benefit and a curated event, i.e. not run open-reading style where people can sign-up. Invitations are issued by our Programming Committee made up of Poetry Project staff and board, plus all of our series coordinators (positions that rotate every 2 years). The final schedule consists of people who are at least one or more of the following broad categories: performers who have a longtime connection to The Poetry Project and/or the Downtown arts scene (poetry, music, film, dance, but poetry in particular); poets who are actively participating in the NYC literary arts scene by giving readings, publishing books, organizing readings, editing journals etc… ; and/or performers who have never participated in a Marathon before. Each year we have 30-50 first-timers appear, which means that many who performed in prior years aren’t going to be able to participate. If you are invited one year, it doesn’t mean that you will get invited every year. Reading is only one way of participating, volunteers are also needed to sell books, food, drinks, and assist during the event. The Poetry Project offers unpaid internships with many perks to undergraduates, graduate students, recent grads, and non-grads who are looking for experience in a small, poet-run, not-for-profit arts organization. Applicants should have a strong interest in contemporary poetry. Interns may work for college credit if desired. All interns must work one day per week in the office, as well as one evening event per week. General office hours are 12pm to 6:30pm, Monday through Friday. If you are interested in becoming an intern, send a resume or CV to Nicole Wallace at nw@poetryproject.org. A formal cover letter is not necessary, but in your email please write a short paragraph about why you would like to intern for the Project. Poetry Project is always seeking volunteers. Volunteering can mean anything from an annual two-hour shift at the New Year’s Day Marathon benefit to a weekly chair-stacking gig at one of our three reading series. For more information on getting involved email Nicole Wallace at nw@poetryproject.org.